SPARTANBURG -- Nearly an hour after they had sprinted to the end side by side, the rest of the field in their wake, Riverside's Jessie Crowley and Cate Ambrose talked about the thrilling finish of Saturday's Eye Opener, their relationship, their team and what's most important when it comes to running. When the subject turned to running, it was clear the outcome of the race wasn't high on either's list. Ambrose had no idea who won and didn't seem to care. Crowley thought Ambrose won. Instead, it was Crowley who wound up winning in 18:41.64, officially six one-hundredths of a second ahead of her teammate. "It's pretty awesome to have a teammate like her," said Ambrose, one of four seniors in the top seven. "All the girls, we all have fun and love on each other no matter who wins." "Me and Cate are really good friends," said Crowley, a freshman. "All of us are. We push each other in practice. We have fun." "It matters just that it was an exciting finish," Ambrose said. "As long as I'm good with my performance, I don't care what place I come in." 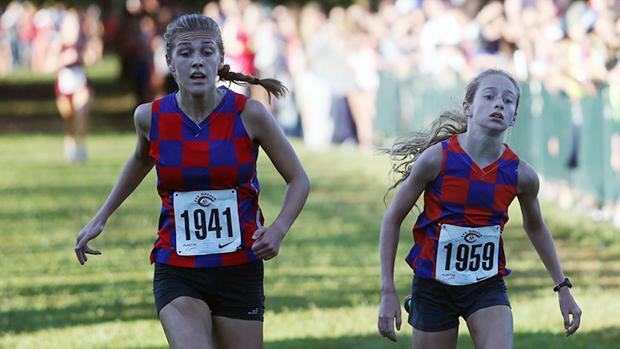 For Ambrose, it was her first race of the season -- her "last first cross country race in high school," she called it. 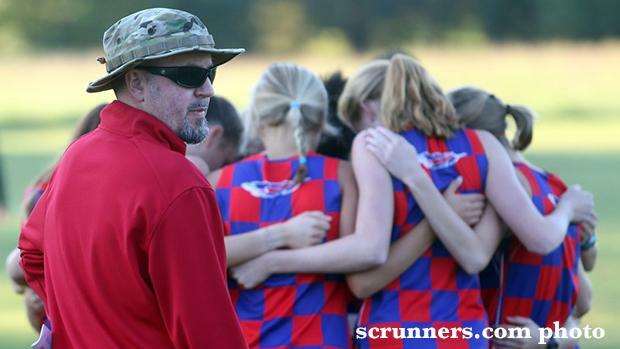 Crowley finished first the previous week in the Fight Like Wyatt Invitational at Woodmont with a time of 19:21. "I think it's just your time that matters and how well you do, not comparing yourself to other people," Crowley said. Riverside does well as a group. The Warriors, now in Class AAAAA, won the last three AAAA state championships. They won their second straight Eye Opener, finishing with 22 points. Science Hill (Tenn.) was a distance second with 123 and Eastside third with 128. 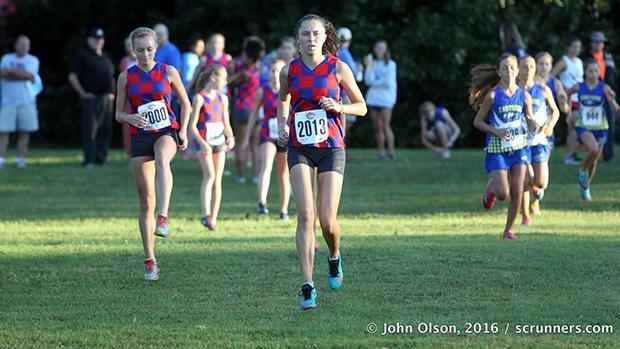 The Warriors put five in the top eight and seven in the top 15 Saturday despite the fact that, because of college visits, it was the first race for several of them. For Riverside, Ashley Fallow was fourth in 19:07, Abigail Smith seventh in 19:14, Carter Marchbanks eighth in 19:16, Anna Yang 14th in19:39 and Mikie Harris 15th in 19:48. "Jessie's coming off a win last week and ran a lot faster," Riverside coach Eric Cummings said. "Ashley was our No. 5 girl at two and a half miles and fought back into the three spot. Abigail and Carter ran well. Abigail was at (the University of Tennessee) the past two days, so coming back after traveling, she ran well. Seven girls under 19:48 -- that's a good start." "It was just exciting, because we all went out the first mile together, just kind of like relaxed," said Ambrose. "It made it fun that we were all there." Crowley said she surged a couple of times. "I tried to push it on the back straightaway, and then also I tried to push it on the area where it turns," she said. "Then when there was like 1,000 left, I started going harder. Then the hill came, which was really hard. After the hill, I just started sprinting. "I was just focusing on going as fast as I could at the end, so I wasn't really thinking that much." "At the middle of the hill, Jessie pulled away. Cate came back," said Cummings. "Same thing we saw in track. Jessie ran well. Cate kicked it in and won three state championships in track this past year. They're the past two state champions (in cross country). Jessie won last year. Cate won the year before. They both want to win again, and so do three other girls on the team. "It's just competition, and it's not like it's mean-spirited. They compete, the first thing they do is congratulate each other, then they go cool down together and then they're sitting together in the tent. "This whole group is very competitive. Our JV girls are very competitive because they see this every day. 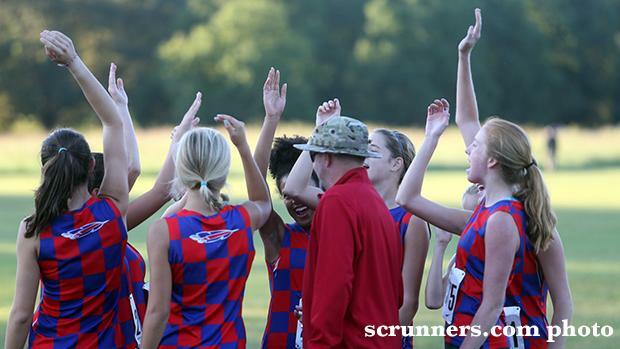 Ninety-one girls on the team and only seven get to run varsity -- it helps." Crowley pointed out that the competition pushes, but it also protects. "We're all really competitive, but I would have been happy (if Cate would have won) because it would help the team get a better score," she said. "You know somebody is right behind you. If you don't do as well, somebody will always take your place and do well."